Travertine – one of the most popular natural stones, makes floors, showers and countertops look beautiful with its incredible variations. But, it is also very sensitive to acids and liquids, staining the surface. Regular cleaners cannot release all the stains and will also damage the integrity of your stone. 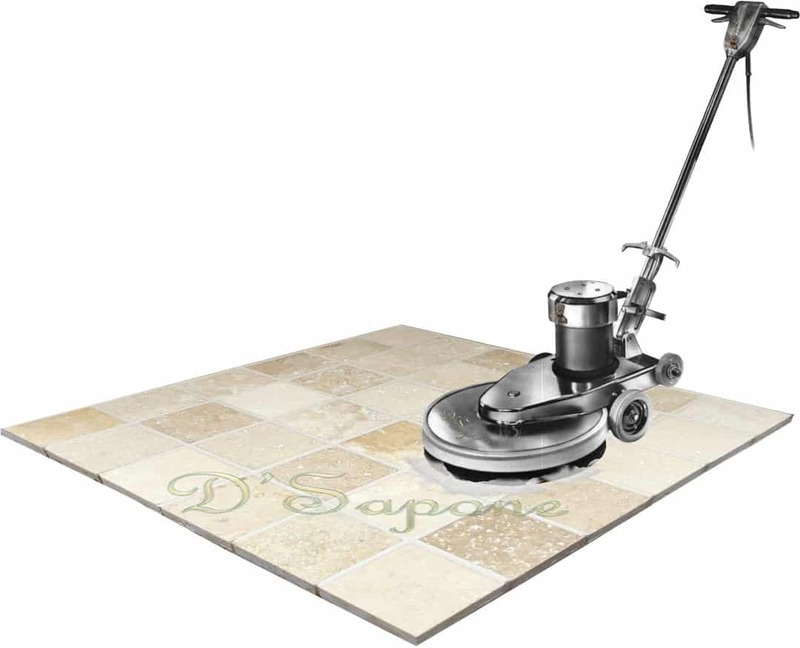 Our experts offer the best services for travertine tile cleaning in Nassau, which can eliminate stains, mold and mildew at the root without causing damage in the surface. Keeping the look of travertine showers can be very tough as they are the extreme places with humidity and moisture, allowing mold to take place. 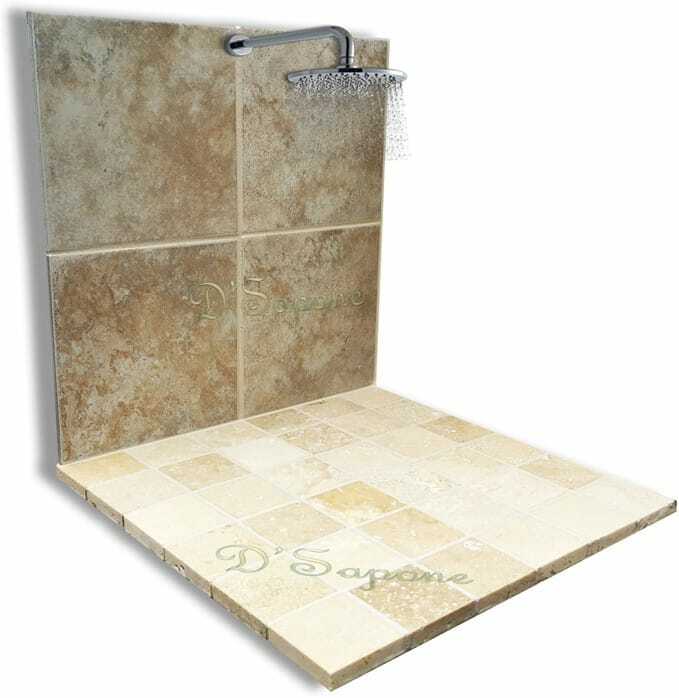 D'Sapone® is the only company, carrying a 5 year labor warranty on its ‘Healthy Shower’ service. Cleaning travertine can just remove the stains, but it cannot prevent the stone from staining. 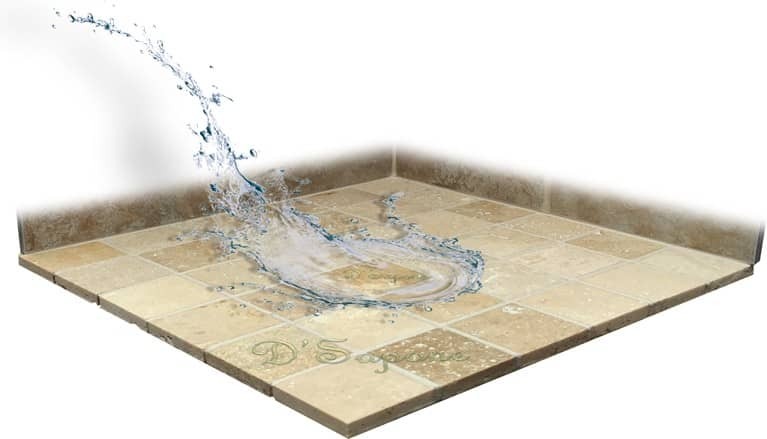 Only sealing travertine with exquisite products can keep the look of the floor, shower or countertop. We coat the surface using natural look sealers designed by pFOkUS® making travertine waterproof to prevent the passage of moisture, causing mold and mildew. Grout fills the voids or spaces between travertine tiles. It is a concrete based substance, which can easily be stained or etched by acids, cola drinks and coffee. Grout must be sealed after the cleaning process, else it will make the entire surface look worse. Not only do we seal the grout, we preserve its look for a lifetime with Caponi® – a two part pigmented titanium resin sealer, waterproofing the surface. After cleaning and sealing the travertine surface, maintenance is key to preserve the beauty of floors, showers and countertops. Meet Valore – a travertine maintenance cleaner, which not just sanitizes the stone, it also adds a coat of sealer to the surface to keep the stone’s durability with a 5 year labor warranty. Estimate for Travertine tile cleaning in Nassau. Now, it’s time to turn your imagination into reality and deliver a glamorous look to your travertine. Send pictures to your Nassau artists via our website now and get a free estimate for travertine tile cleaning in Nassau today.